Andi Ware On: Why everyone should know about Jack Monroe. I want to begin by apologising to those that are aware of Jack Monroe and the difference that she has made. As January draws to a close it perhaps a little late to consider New Year’s resolutions but if like me you are a little heavier than you were before the festive period it may be worth taking the advice of this lady. I first became aware of the Girl Called Jack in 2012 when I heard a feature on her on Radio 4’s The Woman’s Hour. I remember this vividly because everything she said seemed to strike a chord with me due some of my own recent experiences. For those that don’t know who Jack Monroe is she is a writer, journalist and poverty campaigner. She first gained a profile within the British press for her ultra-affordable recipes. After leaving her job at Essex County Fire and Rescue Service she felt the strain of being a single parent. The difficulty that she experienced in trying to feed her son coupled with remarks made by a local (Southend on Sea) Councillor that ‘druggies, drunks and single mums are ruining the High Street.’ caused Jack to respond with a blog called ‘A Girl Called Jack’ in which she wrote about issues facing those that were reliant on benefits and suggest ideas for good quality, low cost meals. The main stream press soon became interested Jack’s blog and Monroe soon featured in the Independent. She has since described Xanthe Clay’s article; ‘My 49p Lunch With A Girl Called Jack’, as the moment that changed her life. The reason why I was so taken with Monroe’s story in 2013 was because I had at the time recently been through a time of financial difficulty. In 2011 I was made redundant. I was luckier than some in that I managed to secure some part time work immediately. However, I still found that my income was now a third of what it had been. 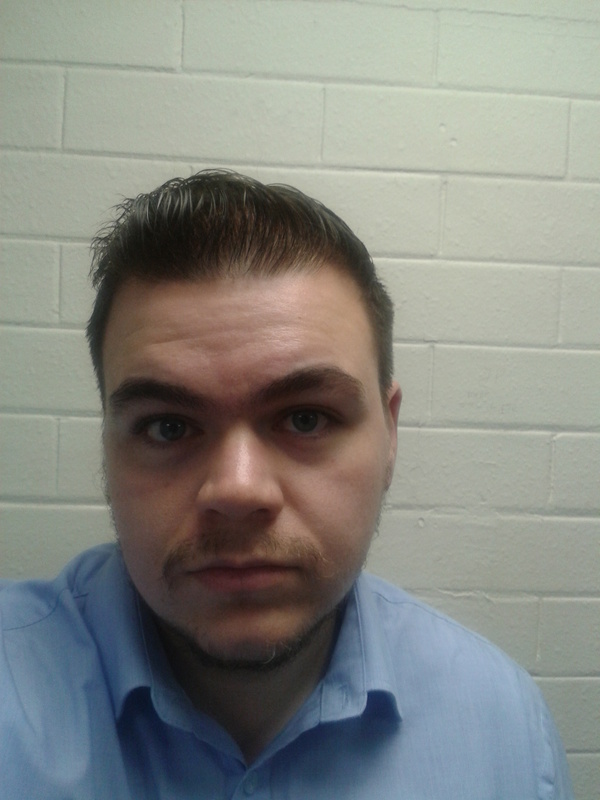 Working only 2 and a half days a week meant that I on Thursday mornings I could shop but shop in my own way. This involved arming myself with what I dubbed the Skintsack; this was an old canvas rucksack that I had bought for a camping holiday a few years previous. Climbing on my bike I would head out to the outskirts of Hull where I would visit several farm shops where I was able to fill the Skintsack with fresh eggs, a back-breaking amount of fresh vegetables and fruit all for a less than a tenner. I would then hit the budget supermarkets where I would stock up on meat and fish. I would find that for little more than the cost of a large Domino’s pizza I was able to prepare quality meals for a week or so. It was during this period that I feel that I truly learned to cook. What I learned about cooking during this period was that it can be a hugely socially emancipating experience. Preparing a meal for four and knowing that it cost less than a fiver gives you a great sense of satisfaction. At this point I feel that I must clear something up. I am not preaching, in that I am not suggesting that everyone on a low income should trawl their local rural areas for farm shops and cycle 15 miles just to gather the ingredients for an affordable meal. You see this is the beauty of Jack Monroe, all of the ingredients for her recipes can be found in Asda, Tesco and Sainsbury’s. Monroe is an advocate of value range foods and all of her recipes consist of these. Perhaps the most surprising aspect of Monroe’s recipes is that they work, are very good and whilst following them you learn that good food can actually be very affordable whilst bad food tends to be incredibly expensive. I don’t wish to stereotype but I can only speak of my experience. In 2011 it just so happened that my wife and I had to move in to social rented housing on one of Hull’s most deprived estates. Both of us were struck by the number of take away deliveries we saw. Every night the estate was buzzing with hatch backs with Domino’s (other providers of pizza are available) signs on the roof or many of the local fast food establishments. I remember thinking about the amount of money that had been spent in the area on poor quality, high fat foods, in area that was not noted for material affluence. This probably sounds incredibly patronising and condescending. But I feel that it is food for thought. 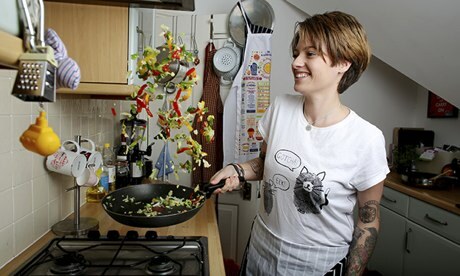 If these families had been aware of Jack Monroe would their eating habits have changed? Perhaps not, but the financial and health benefits may have been enormous had they had the same outlook as Jack. Last year Jack Monroe excelled herself when she proposed that everyone that bought Starbuck’s coffee in the mornings on the way to work should for one day only have a filter coffee at home and spend the money that they would usually spend on their Starbuck’s on tins of value range food that they should then donate to a local food bank. A beautifully simplistic idea, perhaps if the British public did this for a week it may go some way to addressing the balance of Starbuck’s tax avoidance. Whether you need austerity cuisine in your life or not Jack Monroe certainly deserves a degree of respect for what she has achieved in such a short period of time. He column including recipes are a weekly feature in The Guardian and her cook book is available in book shops now. This entry was posted in Other Stuff and tagged Austerity, budget food, cheap meals, Health food, Jack Monroe.